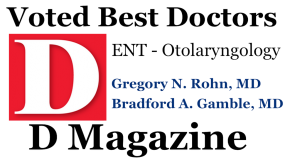 If you think you might need a hearing aid or to visit a hearing doctor, Otolaryngology Specialists of North Texas hearing doctors and audiologists offer testing to determine if hearing aids will be beneficial. Your evaluation will determine if you are one of approximately 5% to 10% adults with hearing problems that can be medically or surgically treated. Hearing aids are a great option for those suffering from hearing loss. Hearing loss can often creep up gradually, without you realizing it at first. Communication becomes increasingly challenging and requires more effort. Here are some of the frequently asked questions we encounter. Why can I hear people talk but not understand what is being said? All types of hearing loss affect an individual’s ability to hear and understand conversational sounds. Some sounds, such as vowels, occur in the lower pitches, while many consonants occur in the higher frequencies. Hearing loss typically begins in the higher frequencies. People notice that they have more difficulty understanding women or children because these voices are at the higher pitches. The ability to understand speech is impacted by a high frequency loss because many consonants occur in this range. Sounds such as s, f, v, th, ch, sh are very important for discriminating one word from another. Without the ability to hear these sounds, words such as leaf, leash, least and leak all start to sound the same. This makes people rely upon visual cues or lip reading to understand more. The information coming through the visual system helps to augment what is missing from the auditory input. All this work of filling in the blanks, lip reading and guessing can be very trying. It tends to make people feel tired or depressed and makes people start to avoid social situations due to the work involved in simply understanding what is being said. Hearing aids are a wonderful option when the hearing loss reaches this stage. Hearing aids selectively amplify sounds that the ear has difficulty hearing. The incoming signal is picked up by the microphone and converted into a digital signal. This signal is processed in numerous ways to keep the signal clean, process background noise and speech differently, and to increase certain pitches. High frequency portions of the signal are amplified more than mid or low frequency portions when a high frequency loss is present. The hearing aid helps to boost up the ranges where the ear is failing. This boost gives back the crispness to speech because the s, f, v, th, ch and sh sounds can be accurately heard again. Words are no longer ambiguous, and guessing is reduced, as well as reliance upon visual cues. This helps to reduce the effort of understanding speech and results in more confidence during conversations because speech understanding is more accurate. Hearing aids have different features depending upon the manufacturer and level of hearing aid chosen. Pricing is determined by the features in the circuit rather than the size of the instrument. The features each person requires is unique to their life situations. In general, the more active a person is the more features they require to keep up with their activities and ever-changing environments. Each manufacturer has proprietary names to describe their particular features, but they can be generalized. Channels: Most modern hearing aids divide the frequencies they support in separate channels that can be adjusted to sharpen or suppress different sounds and frequencies. More channels mean that we have more options to adjust your aid to your needs. If you have a specific complaint with the hearing aids, we can hone in on the exact channel that is causing the difficulty and adjust it, rather than adjusting everything at once. Programs: Programs refer to the different settings that an aid can switch to for different sound conditions. For example, you may have a program for when you’re watching a football game in a noisy stadium, but an entirely different program for a quiet dinner. Some hearing aids switch between programs automatically, while others require you to manually switch between programs. Directionality: Most hearing aids now have 2 microphones to collect the incoming signals. This feature is not very important in quiet situations where the signal is generally coming from one source. It can become crucial in background noise situations where sound is coming from all around. In this situation, the signals coming from the forward facing microphone are deemed more important than the input from the rear facing microphones because we generally want to hear what we are looking at in a noisy situation. The input from the rear microphone is deemphasized while the forward microphone is emphasized. This helps you to pick up on the person you would really like to hear and helps to reduce the amount of “junk” coming from the rest of the room. In the past,these microphone systems were activated by pushing a button, but now, almost all of the directional microphone systems are automatic. The hearing aids turn the features on/off and adjust it on the fly, according to where signals are coming from at that moment. 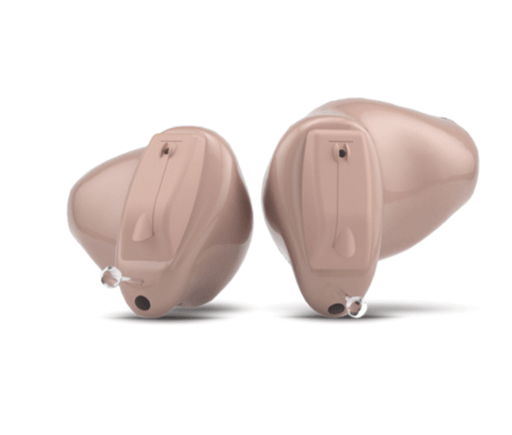 More expensive hearing aids adjust this feature more often and with higher sensitivity than less expensive models. Speech Processing Algorithm: Every hearing manufacturer has an algorithm which determines how speech is processed. Timing, intensity and spectral characteristics are used to determine which parts of the incoming signal should be emphasized and which should be ignored or decreased. Feedback Protection: Feedback is the whistling sound hearing aids can make. Feedback occurs when an amplified sound “leaks” out of your ear and is amplified by your hearing aid a second time. A good-fitting hearing aid prevents the amplified sound from “leaking out” and keeps your hearing aid from whistling. 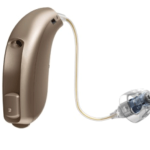 Most hearing aids have a feedback suppression feature that reduces this annoying sound. Although feedback can be connected to a variety of issues from the mold fit to the vent size, feedback suppression reduces the bothersome sound for a majority of users. Frequency Compression: The majority of hearing loss begins in the treble range where many high-pitched sounds such as birds singing, crickets chirping, children’s voices and the ring of a doorbell occur. If the hearing loss is significant enough, the patient cannot hear these particular sounds even with amplification from the hearing aid. Frequency compression takes these treble sounds and either compresses them to a lower frequency range or overlays the sounds at a lower range, making them audible again. 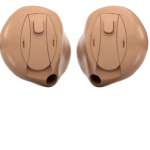 Binarual Synchronization: Over 80% of hearing aid users are fit binaurally, meaning an aid is worn in each ear. Synchronized hearing aids enable the two hearing aids to “talk” to each other, improving hearing quality and adjusting sound input accordingly. This feature is only important for those wearing two hearing aids, so if you only use one, this technology won’t improve your experience. Noise Management: Reduces uncomfortable background noise, such as traffic or the constant hum of a ceiling fan, without affecting your ability to understand. Life learning or logging ability: Life learning refers to an aid’s ability to “remember” changes that a user makes manually to an aid according to a sound environment, and eventually makes this change automatically when in a similar sound environment. Most models require a certain amount of time to begin making these adjustments. Tinnitus Management: This feature can be activated in cases where amplification alone isn’t enough to alleviate tinnitus. A broadband noise or masker can be used or a more complex stimulus. Widex Zen is a great example of this technology, which uses random, chime-like tones for relaxation and for tinnitus treatment. The tones allow a patient to avoid complete silence and reduce the focus on the tinnitus. The hearing aid monitors the level of sounds coming into it and activates Zen when it is quiet. Bluetooth Connectivity: Bluetooth is the wireless technology that connects phones to cars and other devices. This same technology is available to stream sounds from many different devices straight to your hearing aid providing hands free ease and increased signal clarity. Telecoil (t-coil): Telecoil is a tiny coil of wire in a hearing aid which is sensitive to a magnetic signal, either along with a microphone or in place of a microphone. Many public areas provide assistive listening systems for hearing aid wearers, one of which is called a hearing loop. 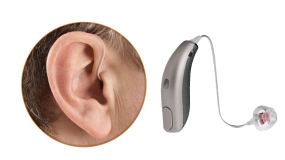 The hearing loop can be used with a telecoil equipped hearing aid to provide a clearer signal in noisy areas. Most often, yes! Hearing with both ears is called “binaural hearing”. This allows us to determine where a sound originates from and to hear effectively in noisy situations. The brain makes use of subtle timing and intensity differences between the ears to do these tasks. Hearing from only one side dramatically decreases these abilities, or removes them completely. Studies have shown conclusively that hearing from two ears is better than from one in regards to understanding of speech, localization of sounds, discrimination of individual words, and to decrease levels of stress. There are a few exceptions though. 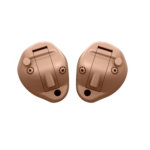 These include hearing normally in one ear with impaired hearing in the other, in which case a hearing aid is not required, or deafness in one ear with impaired hearing in the other where a hearing aid would not be beneficial in the deafened ear. 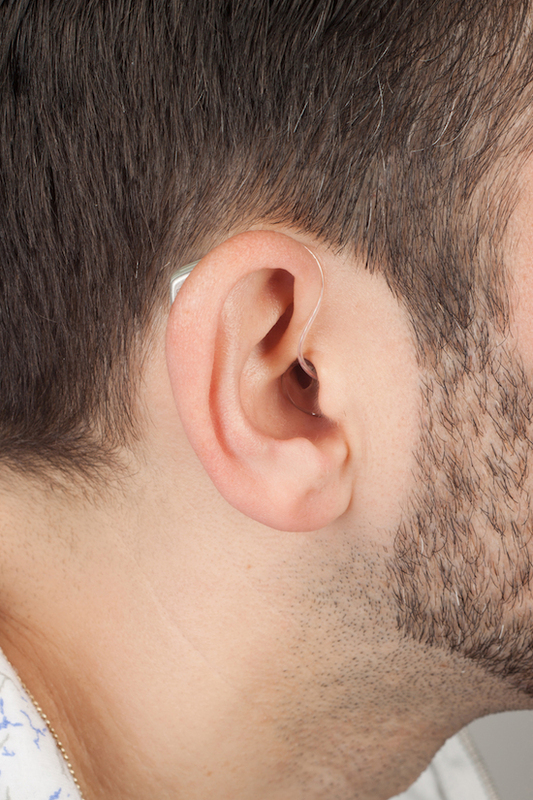 What is the process of obtaining hearing aids? We start off with a comprehensive audiometric evaluation and consultation with the doctor to see what type of hearing loss is present and if there can be any medical treatment for the loss. The next appointment is a hearing aid evaluation which is scheduled for one hour with our audiologist. The cost of our comprehensive hearing aid evaluation is $150 and is often covered by insurance. During the hearing aid evaluation, the results of your hearing test will be discussed. Different hearing aid styles and circuits will be discussed, as well as the benefit of each in different communication situations. The audiologist will recommend which type of hearing solution is most appropriate for your hearing concerns and will explain realistic expectations for hearing aid use. Together you will reach a decision regarding which particular style and circuit is best for you. We encourage you to bring a family member or friend with you to this appointment. When a final decision is reached, an impression of your ear may be taken and sent to the hearing aid lab to create an aid specifically for you. Some styles of hearing aids are non-custom and do not require a mold. You will be scheduled for an appointment to return in 1-2 weeks for the hearing aid fitting, which lasts one hour. The hearing aids will be personally set for you at this appointment. You will also be counseled on how to care for the aids, as well as what to expect while using them over the next week. Hearing aid follow-up care is a crucial part to help you adapt to the hearing aids. We want to make sure that your hearing aid is beneficial to you, so we provide a 30 day adaptation period. During the adaptation period, you will wear the hearing aids and evaluate their performance in your many different listening environments. You will return to the audiologist to review your progress, and any fine-turning changes will be made to the hearing aid settings. These follow-up appointments last about 30 minutes. If you feel you are not receiving the expected amount of benefit from the aids, or if you are not pleased with them, they may be returned at the end of this 30-day period. What kinds of hearing aids are offered? All of the hearing aids we fit are high level digital hearing aids. We have the flexibility to choose any hearing aid manufacturer, so we can find the instruments that best meet your needs. 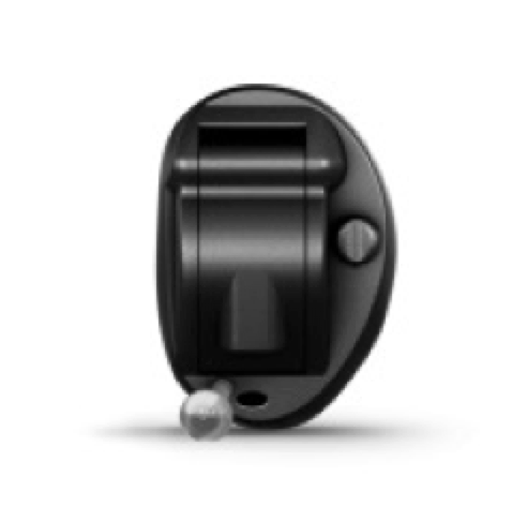 A few of our current favorites are Oticon and Widex. 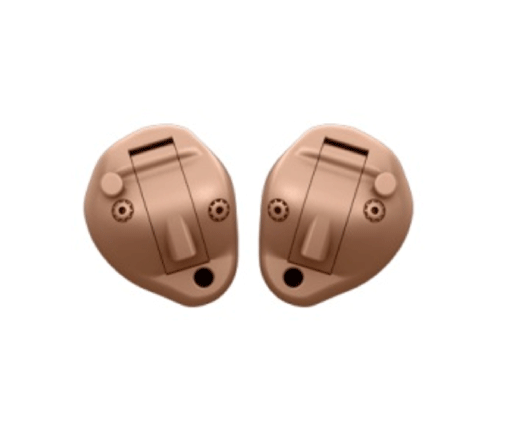 Our hearing aid prices range from $1700 to $3500 each. The cost may be affected by the size of the aid, but is primarily determined by the circuitry level within it. Hearing aids using higher level digital technology are more expensive than lower level digital hearing aids. We offer all the sizes, from “invisible” to behind the ear and everything in-between! 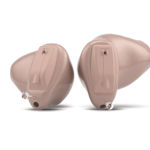 Our hearing aids include a comprehensive 2 year manufacturer warranty that covers loss, damage and repair. Also included are your first two years of office visits for cleaning and adjusting your hearing aids, which keeps them in good working order and maximizes your benefit. Our audiologists do a wonderful job of keeping up-to-date on the quickly changing world of hearing aid technology. 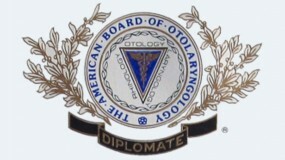 Each meets and then exceeds the required number of continuing education units each year so that you may benefit from their knowledge and expertise. Our prices are very competitive and our service is excellent…schedule an appointment today to evaluate your options and potentials! “Invisible” hearing aids are shaped to fit deeply inside your ear to capture sound in the same way that your ears were designed to do. This style is called “invisible” because no one will see, or even realize you are wearing it. “Invisible” hearing devices will not affect your use of headsets or telephones, how you wear your glasses, or even how you do your hair due to their exceptionally small size and deep fit. These aids operate on the smallest battery, which is expected to last about 3-5 days. Not all patients can use these particular aids due to small or curvy ear canals. This hearing aid is the most cosmetically appealing hearing aid and is currently the smallest aid available. 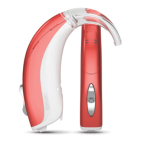 The CIC hearing aid is designed to fit deeply into the ear canal. 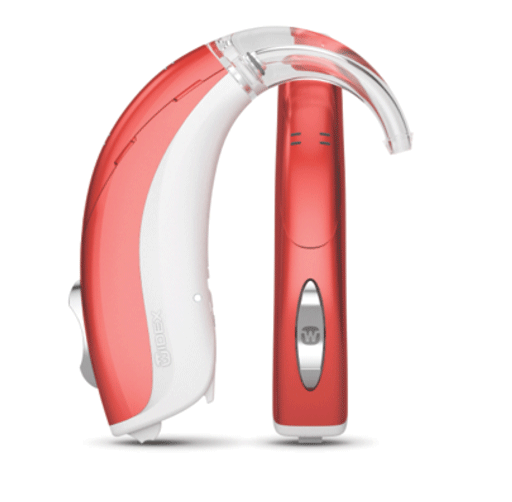 Because the majority of the hearing aid is in the ear canal, this aid is nearly invisible. CIC hearing aids are not appropriate for everyone, or every hearing loss. If you are diabetic, have poor circulation or kidney disease, are prone to outer ear infections or fungus, have poor dexterity, pronounced jaw (mandibular) movement or severe hearing loss, this hearing aid size may not be appropriate for you. 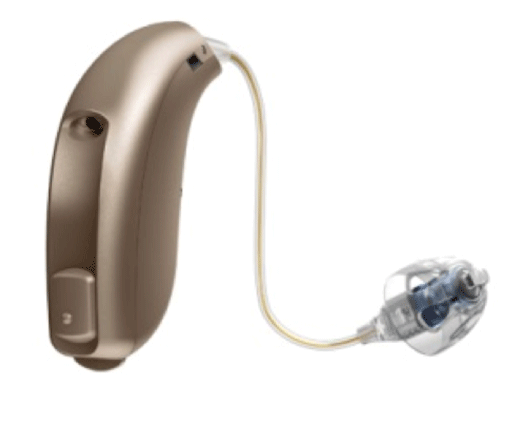 The CIC hearing aid takes a very small battery, which will need to be replaced approximately once every 5-7 days. This hearing aid size sits in the bowl (concha) of your ear so all the components of the hearing aid are housed within the confines of your ear. This aid is most suitable for individuals with mild to severe hearing loss, with fairly good dexterity. Sometimes talking on the phone with the instrument on can be a challenge. However, this obstacle can generally be overcome with specialized technology. This hearing aid takes a battery, which is either the same size as the BTE or slightly smaller. The battery will last approximately 1-2 weeks. This size of hearing aid is appropriate for nearly anyone. 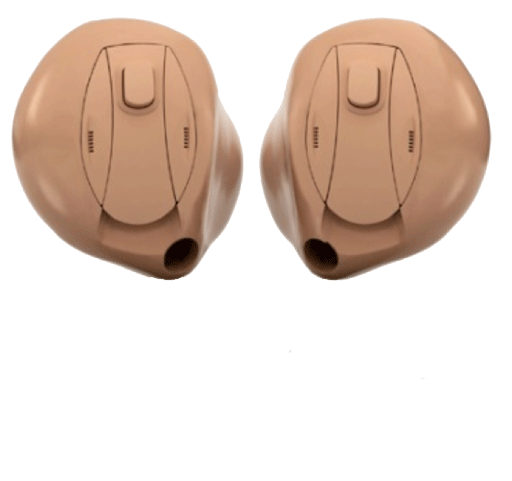 The BTE is coupled to the ear by a custom earmold made of vinyl, silicone or acrylic. Behind the ear hearing aids are good for people with decreased dexterity, wax accumulation problems, steeply sloping hearing loss, very firm or rigid ear texture or moderate to severe hearing loss. Behind the ear hearing aids take larger batteries,, which will need to be replaced every 3-4 weeks (depending on use and size). Some people think of BTE’s as an “old fashioned” hearing aid, but this is not true. Cutting edge technology can be placed inside any size of hearing aid case. This technology allows the hearing aids to connect wirelessly to numerous other devices used throughout the day. There are many Bluetooth accessory options which enhance the listening experience by allowing increased clarity, along with a handsfree experience. Most hearing aids require an intermediary device, such as a “streamer”, to work with cell phones, iPads, computers or other devices. These devices are paired to the streamer, which then relays the sound to both of the hearing aids. The most common application is for use with cellphones. A simple push of a button on the streamer allows the phone conversation to be relayed to both hearing aids at once. This binaural hearing allows better understanding with increased ease. The signal is clearer and there is no worry about how to physically place the cell phone by the hearing aids. The cell phone can remain in a purse or pocket throughout the entire phone conversation! This system allows use of your hands for something more important, but the increased clarity of the conversation is what is most important. This same Bluetooth streaming device can be connected to a computer, iPad or television system so that movies,skyped conversations or your favorite music are streamed right up to the hearing aids. Specialized phones can also be purchased which do the same thing. The conversation is sent to both hearing aids as soon as the phone gets within range of the hearing aids. 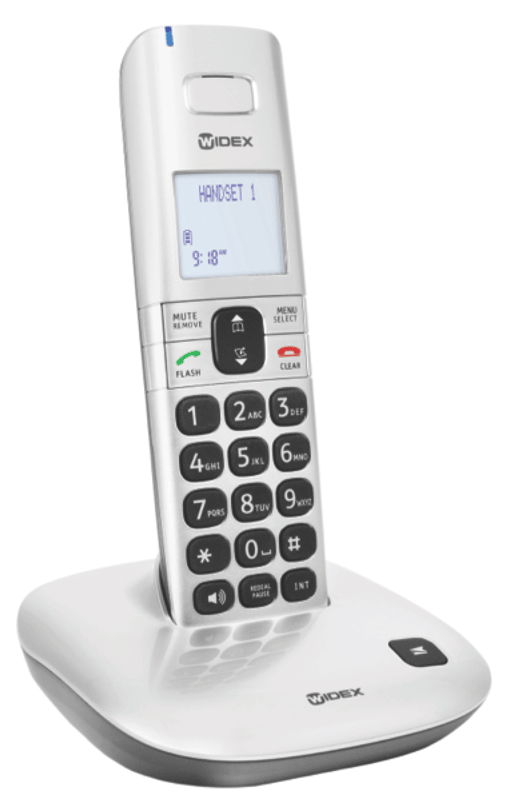 Individuals with normal hearing can use this phone exactly as they would use any other phone. This system is like a miniature radio station operating on special frequencies. The FM system consists of a transmitter microphone used by the speaker and a receiver used by the listener. The receiver transmits the sound directly to the hearing aid. This signal has enhanced clarity and can also be increased in volume to whatever level is most comfortable for the listener. FM systems are often used with school aged children in the classroom, but many adults use it as well. Personal FM systems are useful in a variety of situations, such as in a classroom lecture, in a restaurant, in a sales meeting, or in a nursing home or senior center.